All of the new information from Cisco—from new tech, to doing good. Cisco's Partner Summit in Las Vegas, Nevada began with a bang this week as the company introduced a wealth of new and exciting announcements, including updates to the Catalyst family and new collaboration tools. Partner Summit is Cisco's annual event to bring technology and customers together to create value and new opportunities. Cisco's Chief Sales and Marketing Officer Gerri Elliott kicked off the event, followed on stage by Channel Chief Officer Oliver Tuszik, EVP and GM for Networking and Security David Goeckeler, SVP Product Management Sachin Gupta, and SVP and GM for Enterprise Networking Scott Harrell. Each leader brought a brand-new announcement to Cisco's portfolio, expanding the company's lengths of digital transformation. Cisco top global partners were also awarded by the company for their excellence in innovation, customer satisfaction, and differentiation. Cloud was the big word of the day. Businesses are adopting cloud services for line-of-business operations at record-breaking speed, and the old security architecture can't keep up. Cisco has integrated new flexible security solutions to their ISR (Integrated service router) and ASR (Aggregation Services Router) SD-WAN platforms, including application-aware firewall, intrusion prevention, and URL filtering. The unification of SD-WAN (software-defined networking in a wide area network) with security helps address the new cloud edge. Essentially, this technology speeds up customers' ability to access the cloud with less risk. SD-WAN is powered by Talos, Cisco's cyber threat intelligence team and is the industry's most powerful threat intelligence solution. Moving from wires to wireless is the only way into the future. The new Catalyst 9800 Wireless LAN Controller allows wired and wireless intent-based networking to customers, allowing them to run new software and simplify their IT operations. The single software controller helps automate the entire network, bringing intent-based networking to the branch and other deployments of all sizes. The controller can be used on premise, in the cloud, or embedded virtually on Catalyst 9000 switches. Catalyst 9200 switches also bring intent-based networking to mid-market customers, providing the full suite of enterprise services. "We're excited to bring the full power of Cisco's intent-based capabilities to everyone, everywhere," said Gupta. "We want to give IT the tools they need to automate and see the network end-to-end. Our expanded Catalyst 9000 portfolio lets customers do this not only for large wired networks, but for wireless and simple branch deployments too." Flexibility and agility in the workplace was another hot topic at Partner Summit, as more and more employees support a new workflow of informal, quick team meetings. 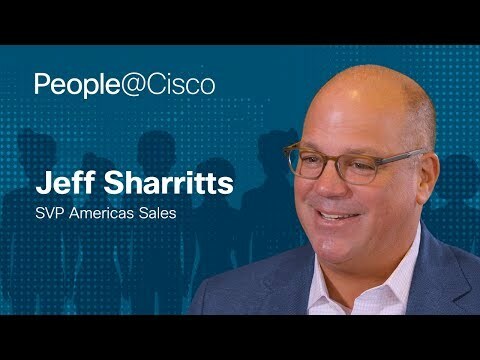 Cisco's VP and GM for Team Collaboration Group Sri Srinivasan writes that huddle spaces (small offices and open areas that can accommodate up to five people) are currently at 20 million locations and growing. But, these spaces also need the proper collaboration technology. Cisco Webex Share provides the ability to turn any screen into a wireless content sharing device. The Cisco Webex Room Kit Mini improves the meeting experience by using facial recognition, noise suppression, and a microphone array that picks up sounds from just the zone in front. This kit can be used with the Cisco Webex Teams app or with any video collaboration app through its USB interface. Cisco's new campaign "Bridge to Possible" brings doing good to the forefront. Along with bridging people, places, ideas, and things through the network, this campaign is all about how we can all create greater good in the world by addressing global challenges. Some of these challenges are encompassed in the United Nation's Global Goals, a list of 17 goals for a better world by 2030—including no poverty, zero hunger, and quality education. Cisco's own commitment is to positively impact 1 billion people by 2025. Cisco is creating positive global impact in a variety of different ways around the world—the company's Tactical Operations (TacOps) team brings disaster response units on the ground to areas in crucial need. This group helps relief agencies by setting up crucial communications technology. 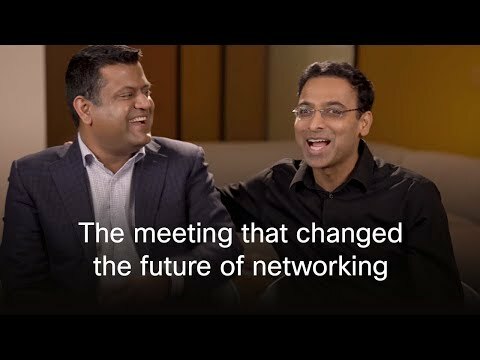 Cisco's Networking Academy (NetAcad) has supported 9.2 million students in 180 countries for the past 20 years, bringing necessary IT and networking education around the world. In May of this year, Cisco's Chairman and CEO Chuck Robbins also announced a five-year, $50 million commitment to Destination: Home, a Santa Clara County homelessness organization that helps provide permanent housing to the chronically homeless. Check out more information on Cisco's Corporate Social Responsibility page here. If you'd like to learn more about Cisco Partners, see their blogs here.